It took four years for pianist and audio expert Giancarlo Sopegno to make his dream a reality. 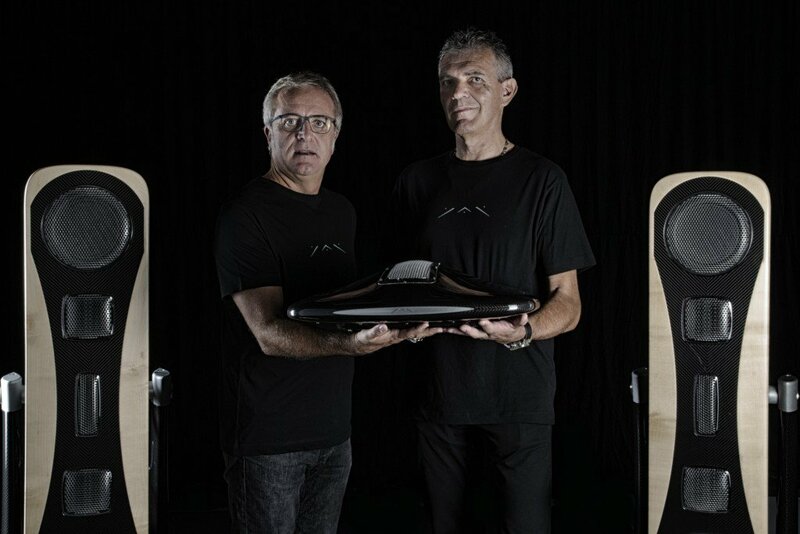 He joined forces with entrepreneur Adriano Marconetto and, guided by the mantra Don’t compromise, they created a unique sound system. Entirely handmade with precious and high-tech materials borrowed from the aerospace industry, the YAR system is composed of: a B-yond amp integrated with 700W per channel; two Y-der speakers; a Feeld anti-resonance stand. Each component is made with a blend of aluminium and carbon fibre, a formula that guarantees perfect insulation to free the sound from interference and distortion as well as adding an appealing and technological look to the entire audio system. The point of all this is to create a pure sound that flows naturally and envelops the listener in a 3D sound experience. Close your eyes and you will genuinely believe the singer and musicians are standing in front of you. But don’t get ahead of yourselves, remember that we’re talking about an extremely high-end product, the haute couture of the audio world. And it also boasts the Made in Italy claim since the entire system was in fact born at the I3P, the Innovative Enterprise Incubator at the Politecnico of Turin. Not only is it a product that very few people will be able to afford, even just intercepting it to experience that sound won’t be simple. You won’t find it in any shop, just the lucky few who attend select private listening events will be able to experience it and it really will be a unique experience since each event is tailored to the specific requests of each client. If you happen to organise a listening event, make sure you let us know!